This young business woman was Vickie Higgs, known today in the Passionist community as Sr. Mary Agnes. It is now many years later, and time to celebrate her Silver Anniversary of Passionist Profession! Those who knew Vickie as office manager at Harry Holder Motor Company or as head bookkeeper at First Home Federal Savings and Loan, were shocked by her decision to enter a monastery. Others who knew the faith she had inherited from her mother, Lois Towery Higgs, remembered that Vickie had wanted to become a nun after high school graduation. Contact with the Maple Mount Ursuline Sisters Rose Emma Monahan and Dolorita Robinson had deeply impressed Vickie, inclining her to want to become a Nun. Vickie had already spoken with the Superior General at Maple Mount and was ready to be measured for her postulant outfit, when her father stepped in, pressuring her to go to college or to work. He said that after she had some experience, if she still wanted to become a nun, he would not then stand in the way. But by the time she had built her career and was making money and partying, Vickie easily left aside any notion of becoming a nun. Life was exciting for Vickie, as she climbed the ladder of success, did car ads on T.V., sang and played her guitar with bands and at the policemen’s ball and at parties. 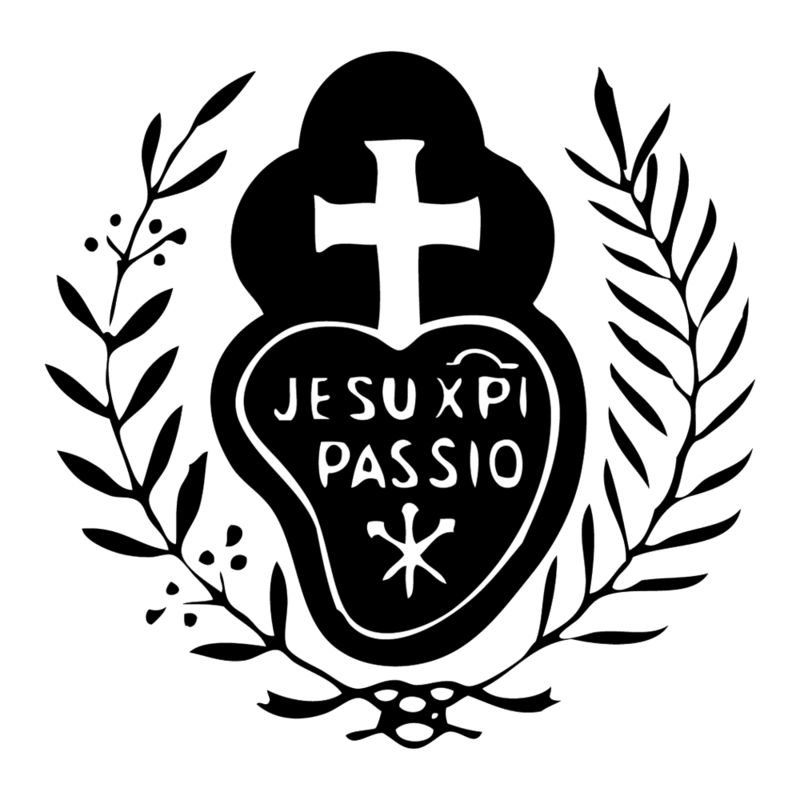 But the “One who died for her” and chose her to be a Passionist was patiently faithful. His providence was watching over her. Friends in the Legion of Mary on their way to Louisville: (l-r) Ellene, Vickie, Ruby, and Vickie’s sister Barbara. Vickie joined the Legion of Mary and became friends with Ellene Snyder and Ruby Westerfield. Both of these friends in the Lord would play a part in getting Vickie into the monastery. Ruby (not known to underestimate) told Vickie and Ellene that the Passionist Nuns were starving and that they would go three days before asking anyone for something to eat. Most of us were quite thin at that time, but we didn’t realize we looked that bad!! At any rate, this tale of woe prompted Vickie and Ellene to start bringing groceries to the monastery and sending in donations for food. This was not Vickie’s first contact with the Passionist Nuns. Her aunt, Charlene Armendarez, had entered the Passionists in the early 50's, and though she found that it was not her vocation she always remained close to the foundress, Mother Mary Agnes Roche (R.I.P.). Vickie would tag along when her aunt visited Mother Mary Agnes at the monastery. She made several retreats on Benita Avenue during her high school years, and Mother Mary Agnes Roche would always take time to visit with her personally. But at that time, nothing was farther from her mind than entering a cloister! Little by little, the Holy Spirit drew Vickie to attend 3 p.m. Benediction at the monastery on Fridays, and then to come to daily Mass. As she heard us praying the Divine Office before Mass, she decided to come earlier so she could pray it with us. Then the episode recounted at the beginning of our story happened—Our Lord revealed His love for her and extended His invitation to her to become a Passionist Nun, and Vickie said "Yes". After completing her aspirancy, she sold all her belongings and entered the postulancy in 1979. Over the years, Vickie worked in the monastery kitchen, the garden, the altar bread department, and then was assigned as bookkeeper. Having served as assistant superior, Sr. Mary Agnes was elected superior in 1992. She will always be remembered for her leadership during the construction of the new monastery and the move to Crisp Road. All her bookkeeping experience together with her mechanical abilities gave her a facility in reading and understanding blueprints and specification manuals and this served her well as she worked with architects and contractors.